When dealing with non-melanoma skin cancers such as Basal Cell Carcinoma, Squamous Cell Carcinoma, there are numerous methods of treatment that one may consider. Yet all too often, skin cancer sufferers are railroaded into thinking that surgical removal is their best, or only treatment option available. Unfortunately, this is rarely the case and far too many skin cancer sufferers go under the knife each day, not realising that in most cases surgical removal is a relatively ineffective treatment. This article compares the usage of Curaderm BEC5 cream and a typical scenario of surgical removal. Did you know that going under the knife can have serious long-term drawbacks and is a relatively ineffective treatment compared with other available options? So why do so many people even consider surgery as a viable treatment? You identify a suspicious mole or lesion and visit your GP or dermatologist to have it checked out. Your GP takes a biopsy and sends it away for testing. The biopsy results come back positive, so you are booked in to have the lesion surgically removed. If the cancer was small, this could be just a short appointment with your GP where the cancer is removed under local anesthetic with a scalpel. Unfortunately the example above is a little utopian. In reality, case studies are plagued with reports of misdiagnosis, disfigurement and all to often, reocurrence of the original lesion. For example, is it not uncommon for a GP to skip step 3 of the above example and operate under the asumption that a lesion is cancerous from their visual identification only. In these cases there is a very real possibility of misdiagnosis, where lesion is actually non-cancerous and the patient is left with unnecessary scarring and a painful recovery process. While the pain of surgery can be acute, it is also usually temporary. Scarring, on the other hand often remains for a lifetime. This is a major drawback of surgical removal given that skin cancers often appear on the face and neck, in the places you would least want to have a scar. To counter this, surgical removal often necessitates skin grafts or plastic surgery adding complications and cost to the treatment. In some cases the location of a skin cancer makes it inoperable. This is sometimes the case when the cancer is in near vicinity to the eye, and can necessitate the complete removal of the eye in order to reach the cancer effectively. In such cases an alternative treatment is often sought. There is a separate, specialised form of surgery known as “Moh’s Surgery” that entails a lower chance of reoccurrence than traditional surgery. Still, Moh’s has many of the same drawbacks. Moh’s surgery is beyond the sope of this article. 5. Manage the acute pain as the surgery heals. 6. Undergo plastic surgery or skin grafts, or wear the scars for the rest of your life. 7. (Possibly) Suffer a reocurrence months, years or decades later, then Start again at step 1. It saddens me to paint such a grim picture of the most commonly administered treatment for skin cancer and it is not the intention of this article to discourage surgical removal in cases where it is the only treatment available. But for those who do suffer a reoccurance of a surgically “removed” cancer, or those who are treating a skin cancer for the first time and perhaps considering surgery as a tretment, there is a far superior treatment out there known as Curaderm BEC5. Curaderm BEC5 is a topical cream that kills cancerous cells, while leaving healthy cells completely unharmed. This means that unlike surgery, there is no “collateral damage” from treatment with Curaderm. Hence the healing process much quicker and reduces the amount of scarring. In fact in many cases of treatment with Curaderm BEC5 there is no scarring at all, and it would be impossible to tell a cancer ever existed at the treated location. What’s more, many years of research and development have been invested in Curaderm’s delivery mechanism. Curaderm has the ability to seep into the skin and target cancerous cells beneath the surface (remember our ice-berg analogy?). This makes treatment with curaderm extremely effective in removing all traces of the cancer, and reducing the chance of reoccurrence to practically zero – a feat that other treatments simply can’t match. Because of this, Curaderm has been described as a “Near Perfect” treatment for non-melanoma skin cancers, and rightly so. Risks Minimal (Curaderm only affects cancerous cells and has proven to have only minimal side effects in rare cases) High risk of infection and cosmetic disfigurement. So given this information, why isn’t Curaderm completely “perfect”? Unfortunately, treatment with Curaderm takes time. The cream must be applied twice daily until the site has healed, and a typical treatment regime can take around a week to over a month depending on the size of the lesion to be treated. Obviously the larger the lesion, the longer it may take to heal and hence the longer you will need to continue treatment with Curaderm. During the early days of treatment there can also be a stinging sensation while the cream is being applied, which some users find uncomfortable. Although the time involved in treating with Curaderm may sound like a disadvantage compared with surgery, one must keep in mind that even a short surgical prodedure can still take weeks or months for the treated site to heal afterwards. Remember how Curaderm doesn’t affect healthy cells? While you are treating with Curaderm and the cancerous cells are being killed, your body is also creating new helthy cells to replace them. This healing process takes place during treatment with Curaderm. 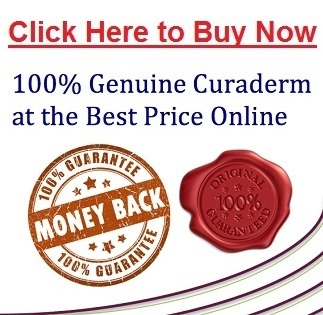 In fact, it is strongly recommended not to stop treating with Curaderm until the lesion is completely healed over, and this is part of the reason Curaderm is so effective in completely removing the cancerous cells and therefore avoiding reoccurrence. It also greatly minimises any risk of infection by keeping the treatment site sterile during the healing process. Obviously this is highly favourable over the lengthy, painful and risky recovery process that surgery would ential. Due to the fact that melanomas can spread very quickly with dire consequences, Curaderm BEC5 is not a recommended treatment for melanoma. The risk of a Melanoma spreading during treatment with Curaderm BEC5 is just too high. If you suspect you have a melanoma, please consult a qualified medical practitioner immediately to discuss your treatment options. From this article I hope you now understand why surgical removal of skin cancers is so common, yet far from ideal, and that there is an alternative “Near Perfect” treatment out there called Curaderm BEC5 which may very well be, as close to perfect as humankind will ever need in the treatment for non-melanoma skin cancers. 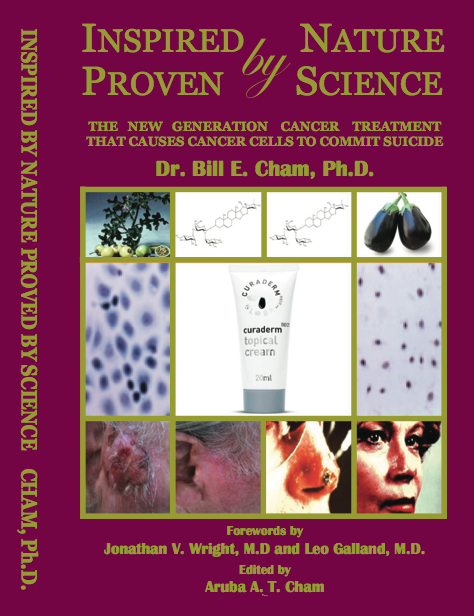 If you would like to learn more about Curaderm BEC5, you can sign up for a free copy of “The Eggplant Cancer Cure” by clicking here. (1)Punjabi, S., Cook, I., Kersey, P., Marks, R., Finlay, A., Sharpe, G. et al. (2000). A double blind, multi-centre parallel group study of BEC-5 cream in basal cell carcinoma. Eur. Acad. Dermatol. Venereol. 14 (Suppl). 47-60. (2)Sussman, L.A.E. and Liggins, D.F. (1996). Incompletely excised basal cell carcinoma: a management dilemma? Aust. NZ. J. Surg. 66, 276-278.
how will we know if the curaderm got all the margins. When would you choose surgery over Curaderm BEC5? A Guide Line Melanoma Treatment | Submit your interesting articles.